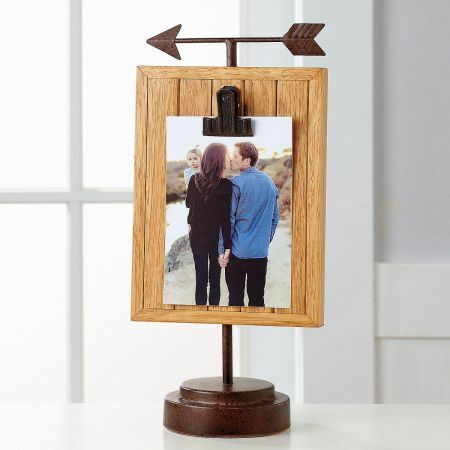 On target for gift-giving, metal stand looks like an antique weather vane, complete with an arrow fixed at the top. 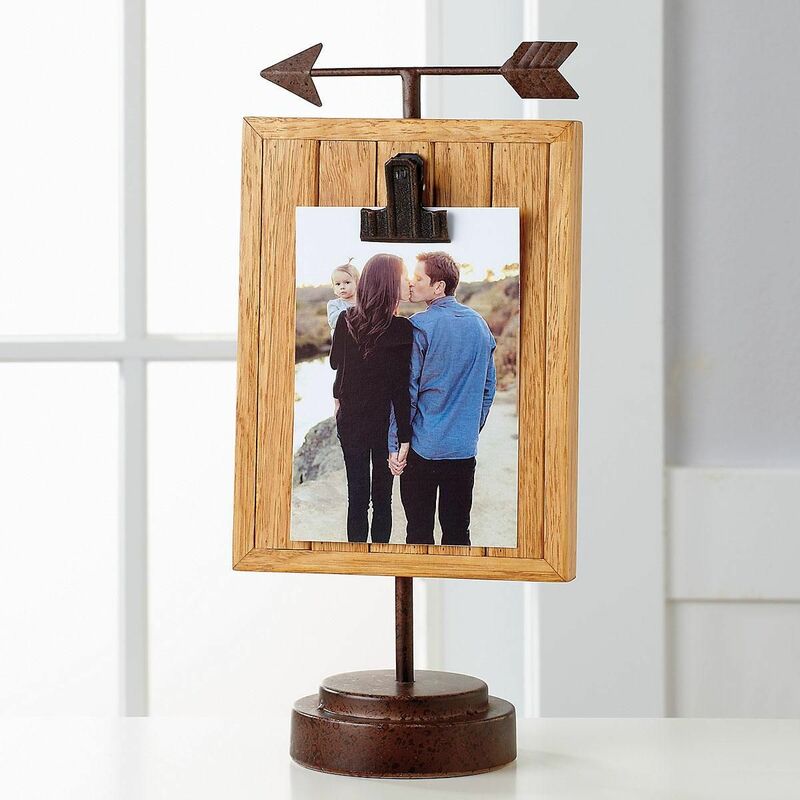 A clip on a wooden easel holds photo or artwork. 12 1/2"H overall.